Fish Sauce Chicken Wings | The Foodist. I knew as soon as I’d taken the first bite that I had to recreate them at home. 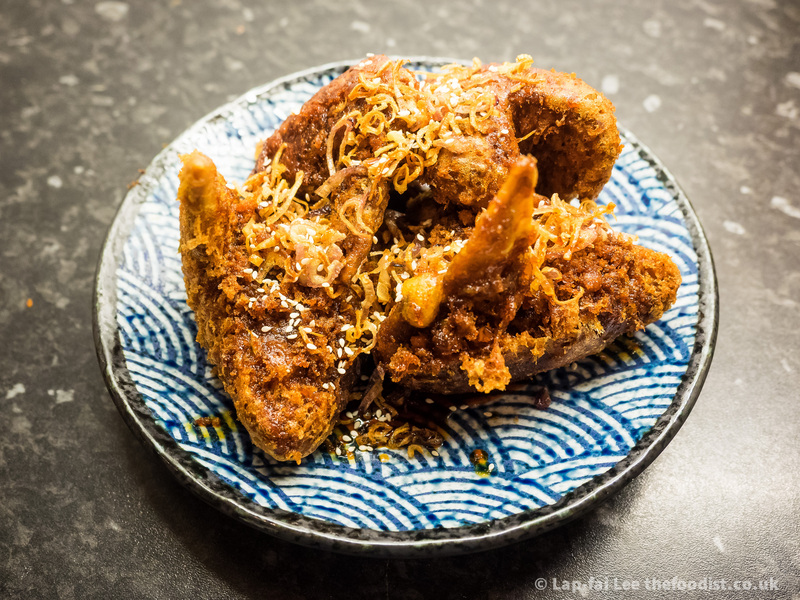 Crispy fried chicken wings smothered in shallot and sweetened fish sauce. 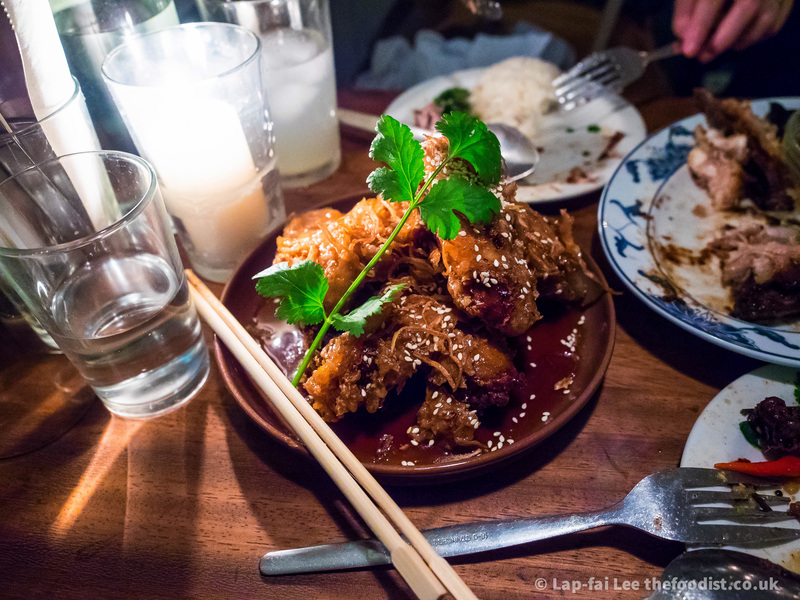 I knew the sauce immediately, it’s a classic Vietnamese style caramel fish sauce nước hàng. It’s the foundation of one of my favourite fish dishes Cá Kho Tộ and the only way to make catfish edible. It’s special, the degree of bitter caramelisation is unique to Vietnamese cuisine and shows the character of the cook. But it wasn’t just the sauce that made this dish incredible, the batter was unbelievably crispy and stayed crispy even though drenched in sauce. My first attempt at the batter did not go well. Foolishly I thought it would be a tempura style batter with egg in it, so I dug out my copy of Shizuo Tsuji Japanese Cooking and made the tempura batter recipe from it. I forgot that recipe was that other kind of tempura, light but not so crispy. So the wings tasted good but was a complete fail texturally. The Smoking Goat batter was crispy and fly away like tempura but brown and with a good crunch too. The brownness was the key, it was definitely an alkali batter. Then it hit me, it’s a flipping beer batter! Well, I know how to make that. The rest is simple, prepare the sauce and shallots separately, marinate the wings, double fry them then put it all together. Marinate the wings in the kecap, fish sauce and garlic for at least 6 hours. This is necessary, the wings will be juicier and more flavourful. When you’re almost ready to fry, coat the wings in the plain and potato flour. Set aside for 10 mins for the coating to stick ready for deep frying. While your oil is coming up to 170C, fry shallots first till they are just golden. Watch them like a hawk, they go from golden to burnt in seconds. Set aside. I’ve deliberately stated a lot of shallots, you’ll only need one for this recipe but let’s face it you might as well fry a load off for other dishes. They keep well. Make the sauce by caramelising the sugar in a small metal pan till it’s deep amber. This is the key, if you want a less complex sauce then add the fish sauce early in the caramelisation. For a more interesting sauce wait for the caramel to turn a deep mahogany before adding the fish sauce. Add the water, garlic and additional sugar to taste. Simmer together till it’s a thin syrup. Prepare the batter by mixing all the dry ingredients and chilling it down till ready for final frying. Fry the chicken first time at 170C for 5 mins (or until the thickest part reaches 65C). Drain and set aside. Crank up the heat to 180C. Add the beer to the dry batter mix and stir till smooth. Using chopsticks dip your chicken into the batter one at time and add to the oil. If you like more batter drizzle it onto the wings with your chopsticks. Fry each wing for 1 minute, the batter cooks and browns very quickly. Set aside, it’ll stay crispy for ages. Arrange your wings on a plate, scatter with fried shallot then smother it in the sauce. Add more shallots and sprinkle with sesame seeds. Look, I know people don’t like deep frying at home but if you’re going to do it make it worth your while and try these wings. You can get fish and chips down the road, you have to go to Soho to try these. Hi, seb here, head chef at smoking goat Soho. Thanks for the kind words and it’s a pleasure to see how passionate you are about making them at home. I’m glad you enjoyed. Great attempt. No beer batter used at the smoking goat though my man- keep up the good work. Thanks for the recipe. Now that Smoking Goat is closing Seb and i’ve just spent my well earned enjoying a last meal there, perhaps you can give us the insight we need? Smoking Goat still exists in it’s new Shoreditch location. Yeah I haven’t been to the location yet. Need to get down there! 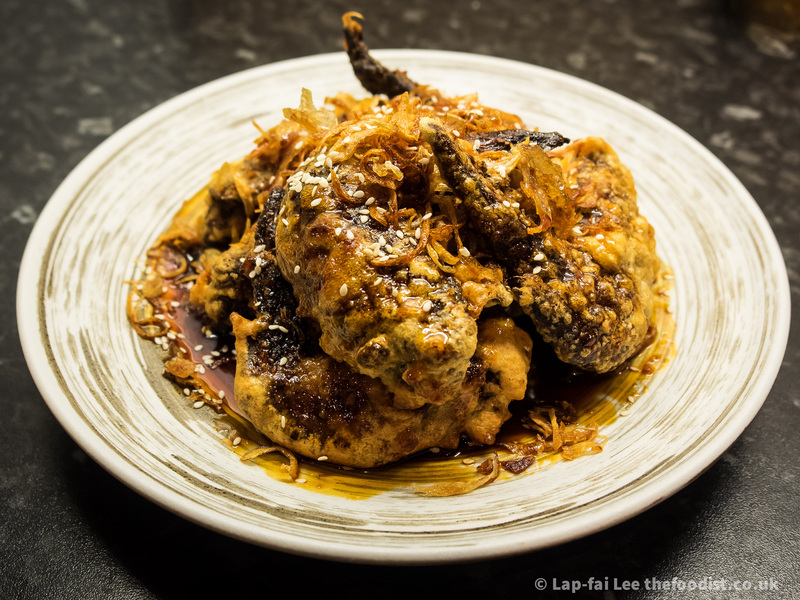 Pingback: Sai Oua Stuffed Chicken Wings | The Foodist.